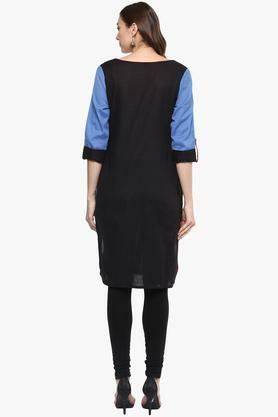 The stylish straight kurta from Stop, makes it chic yet comfortable. Crafted from good quality fabric, it features a roll up sleeves, printed pattern and notched neck. 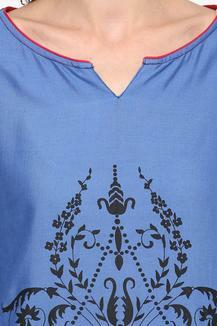 This kurta is ideal for casual wear, which gives you a stylish Indian look.